[ t ] TwiningProperties will create a waterfront town center that weaves the Echo Bay parks together with great design at the Pratt Landing green community. 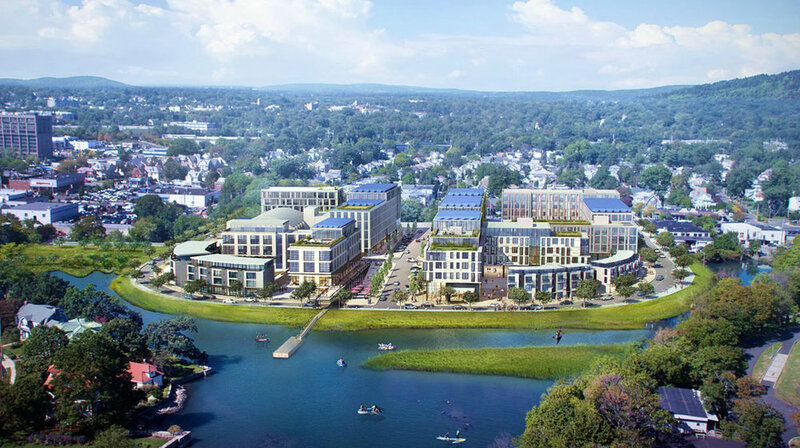 Create a waterfront place: new streets connecting Main Street to the waterfront form a small town center lined with shops, restaurants and homes where everyone can come to enjoy the water’s edge. Link the parks: a new series of parks and a waterfront promenade will connect the City streets to the waterfront and the Echo Bay parks to one another, providing places for people to walk, bike and boat right on the water’s edge. Design beautiful streets: we want to expand the rich urban fabric of streets, open spaces and varied architecture that New Rochelle and Westchester are known for around the country. Be green: we aim to create a LEED-certified sustainable environment by recycling a former brownfield site into a model for new green thinking in Westchester County.